Chesham, UK – 19th July 2017. 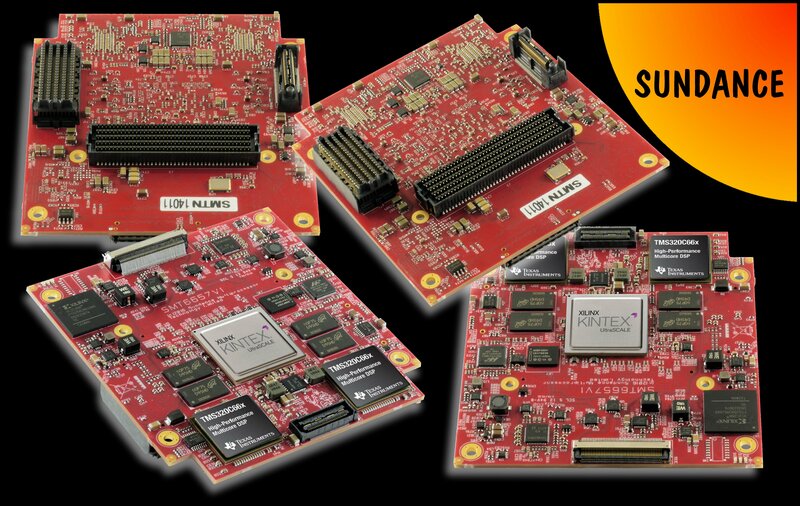 Sundance Multiprocessor Technology Ltd., an established supplier and manufacturer of embedded modules, has announced the SMT6657, the highest performance embedded processing module ever manufactured on the PC/104 small form factor of 90mm x 96mm. 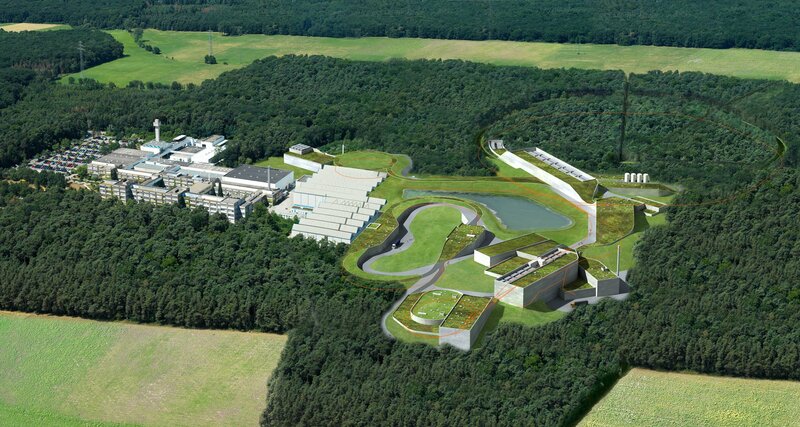 Sundance has also announced that the SMT6657 has been chosen by the new Facility for Antiproton and Ion Research (FAIR) currently being constructed in Darmstadt, Germany to power its SIS100 Proton Accelerator. The SMT6657 features two on-board, dual-core TMS320C6657 floating-point DSPs from Texas Instruments based on the TI Keystone multicore architecture. It clocks at 1.25GHz and generates a raw floating-point performance of 40 GFLOPS (20 GFLOPS per core). The DSPs are closely coupled to an on-board Xilinx Kintex Ultrascale KU35 FPGA used for filtering and post-processing and which also provides the I/O brain of the board, controlling a PC/104 interface, the new PCIe/104 OneBank™ for high-speed connection to a growing range of compatible boards from the ecosystem. The SMT6657 also has a VITA 57.1 FMC module enabling high-speed ADC/DACs, vision interfaces, sensors, and fibre interfaces, etc to be easily added. Using the dual-lanes of the SerialRapid I/O interfaces found on the DSP and the FPGA as a switch on the PC/104 OneBank connector, it is possible to interface an infinite number of SMT6657 boards together in a system to create a truly embedded stackable supercomputer. The SMT6657 complements and supersedes Sundance’s original PC/104 board with combined on-board DSP and FPGA processors, the SMT374, which was developed in 2007 and will continue to be manufactured by Sundance as part of its obsolescence protection programme for customers. However, the SMT6657 provides 40 times the performance in the same footprint as the SMT374, takes less power and sells at a lower cost. Importantly, it also provides code compatibility due to TI’s Keystone instruction set. Sundance designs, develops, manufactures, and markets internationally high performance signal processing and reconfigurable systems for original equipment manufacturers in embedded applications. Leveraging its multiprocessor expertise and experience, Sundance provides OEMs with modular systems as well as data acquisition, I/O, communication and interconnectivity products that are essential to multiprocessor systems where scalability and performance are essential. Sundance, founded in 1989 by the current directors, is a member of the Xilinx Alliance, Texas Instrument’s Design Network and MathWorks’ Connection programs. Sundance is also a member of the PC/104 Consortium, the focal point for the entire PC/104 industry including manufactures and OEMs. It provides a place for information on current specifications, product offerings, news, and events and a place to advance and develop specifications that are consistent and stable for long-term use. For more information about Sundance Multiprocessor Technology and its products, visit http://www.sundance.com.